After Trump won, Google cried in its safe space – How the heck can we trust them now? Google executives were so hurt by the election of Trump because he promised to hold Google's partner, China, accountable. Google, owned by the same parent company as YouTube, is arguably the most influential social media company in the world, with a power to affect the public dialogue across the globe in ways unimaginable just a handful of years ago. The question is now being asked: Is Google flexing its muscles to do just that? Conservatives have pointed to mounting evidence that Google is waging war on them. They’ll cite everything from YouTube banishing conservatives for espousing their beliefs, to Google partnering with left-wing organizations to disparage conservative thought itself. All along, Google has issued bizarre, barely understandable statements denying these charges. Now Google executives have been caught again – twice in the past two weeks. Actually, they have indicted themselves with explosive leaks of their own material. And it goes to the very top of the corporate food chain. Breitbart has released an explosive video of an hour-long post-election Google meeting featuring staff and top executives discussing their despair over the election of President Trump in 2016. 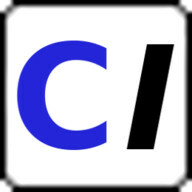 There’s a reason the video has a “Confidential – Internal Use Only” label on top. It’s about the last thing that company wanted the public to see. The video features Google Vice President for Global Affairs Kent Walker dismissing the election results as “a hiccup” interrupting the march of the left. The video features a visibly distraught Chief Financial Officer Ruth Porat attempting to rally the troops. As executives on stage declare a commitment to a leftist ideology, you hear the staff in the audience cheer. As staffers declare their leftist militancy, you watch the executives applaud. Recently Tucker Carlson of Fox News broke another Google story, this time an internal confidential memo from a Google executive to her superiors describing how the company tried to boost the Latino vote for Hillary Clinton. The executive calls this a “silent donation” to the cause. She expresses special gratitude for the “shout out” she received for her efforts from Google CEO Sundar Pichai – the same man who was a no-show after promising to testify before Congress to discuss the company’s political agenda. So let’s review Google’s statements. This must stop. Google is too strong, too secretive and too disingenuous. Google's CEO didn't show up for the last congressional hearing. It’s time for congressional subpoenas. Absurd, simply absurd. What ever happened to anti-monopoly laws? The website below is eye-opening. Compare the Google chrome logo with the Triple 6 or 666 hand sign done by a young Michael Jackson or the Triple 6 Circle Eye done by Beyoncé. This is a demonic illuminati sign. 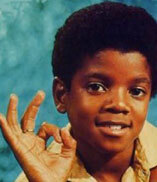 The one Jackson's doing is literally the "A-ok" symbol. Probably a lot of us are unintentionally using the A-ok symbol not realizing its true meaning. Now that I know the meaning, I avoid using this symbol. The "I love you" symbol used in public schools is also one of these diabolical symbols used by a lot of people. 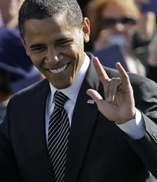 For example, the picture below taken of Obama may be an innocent "I love you" symbol," or it could have a deeper meaning recognized by those in Satanic or Illuminati circles. Thus, it is best not to use it once we recognize the double meaning of such symbols.